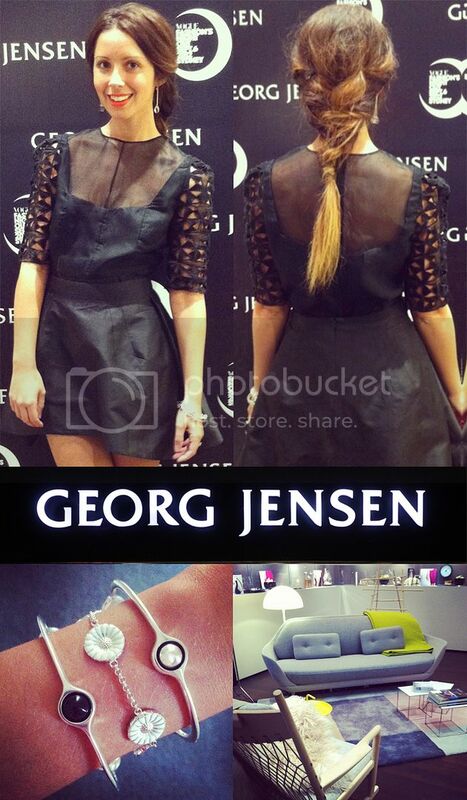 Those following Friend in Fashion on instagram (@friendinfashion) or twitter, would already know that a short while back, I had the privilage of participating in Vogue's Fashion Night Out, as one of the blogger-stylists for luxury brand, Georg Jensen. A glamourous evening, complete with styling lounge, champagne, canapes and a DJ, I, along with fellow blogger, 'sneakypeak', styled customers in the newest Georg Jensen collection. Thanks to the Georg Jensen team for a brilliant evening, and all those that came along and enjoyed the festivities - a fitting soirée. Also thanks to the man behind my mane, Jaye Edwards for styling my hair for the evening.